Sky has announced that its 3D sporting endeavours are expanding to include cricket. TechRadar has had confirmation that England's first NatWest One Day International match against Bangladesh will be broadcast in the third dimension 8 July. Speaking about the event Paul King, Sky Sports executive cricket producer, explained: "This is a revolution in cricket broadcasting creating a view of the action never seen before. I'm sure our viewers will be stunned by the results." England pace bowler Jimmy Anderson also had something to say about the event, explaining: "I've seen Sky 3D and it's a phenomenal viewing experience. I can't wait to see what I and the rest of the lads look like in 3D on 8 July!" Sky has so far kept its live 3D sports viewings to football, so it will be interesting to see if Sky knock it for six when it showcases the cricket. 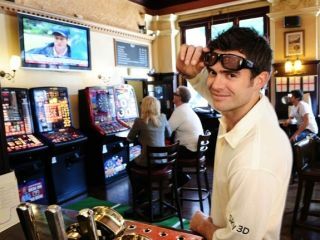 To find out where your nearest pub is that will be showing the 3D cricket match, log on to www.sky.com/3dpubs.